Bold colored frame. Bring life to a boring bathroom corner with a beautifully framed mirror. Choose a frame in bold color such as bright yellow, black, or turquoise. A pop of color can awaken those sleepy heads in the morning. Dual elegance. 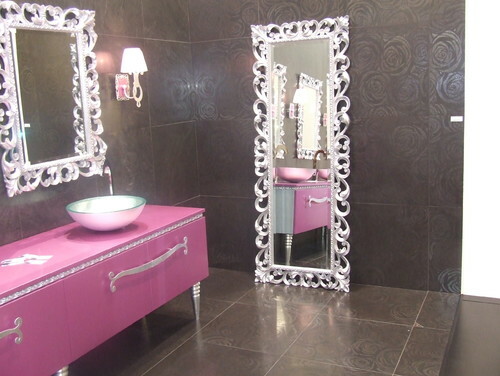 Put a couple of the mirrors with the same ornate frames to bring elegance to a bathroom. 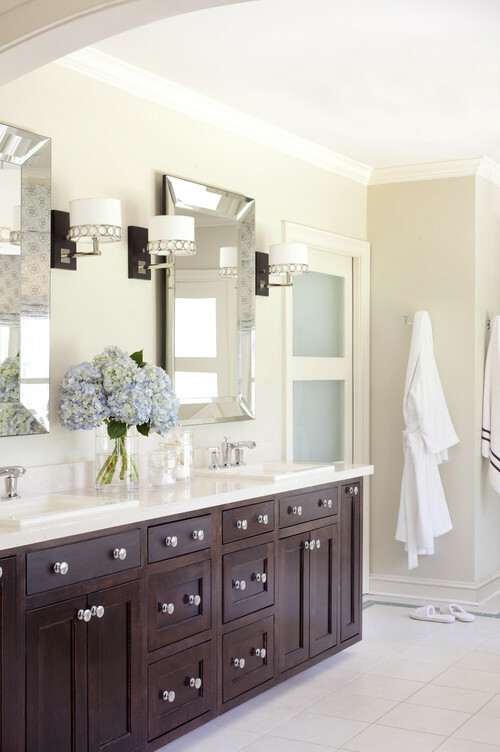 Light from candles and sconces reflected by the mirrors create a romantic feel to a bathroom which is usually the least prioritized room in a house. Try beveled mirrors. 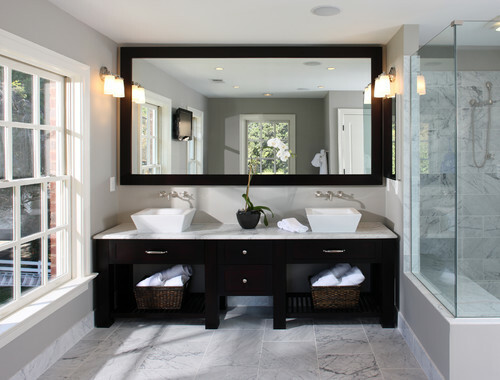 Beveled mirrors add depth and dimension to any room, including the bathroom. They are unique mirrors that are not only decorative, they are functional as well. Lady chic. This idea is great for fashionable ladies out there. Hang a silver framed mirror with elaborate carvings over the sink and place a large floor mirror with the same frame adjacent to it. Metal frames. 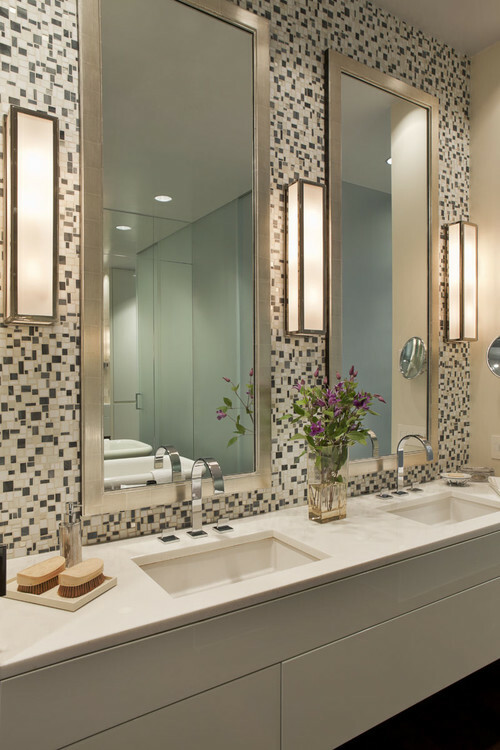 A big mirror in a metal frame can bring a contemporary look to a bathroom. It gives sheen and luster in a busy wall of tiles. Variety of sizes and frames. 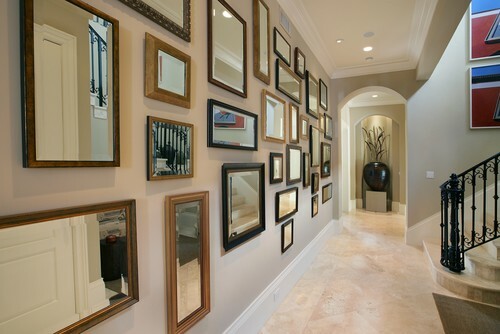 Hang several mirrors in different sizes, shapes, and frames over the vanity. It creates an interesting focal point in the bathroom. Glam Bam. Add glam to your vanity area with a large wall mirror with a beautiful frame. 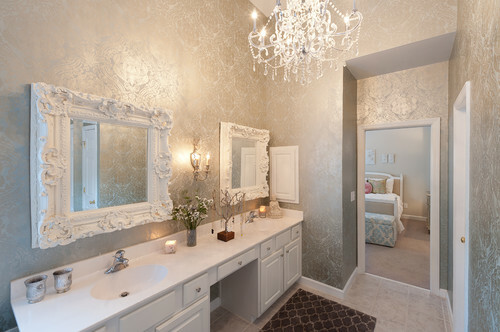 A simple bathroom can be transformed to a stylish room with a decorative mirror. Black beauty. 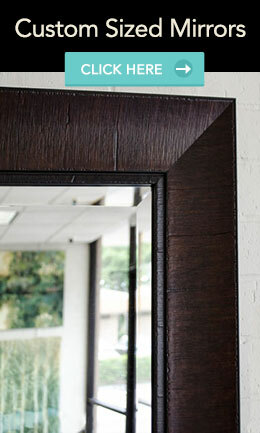 For a clean and classic look, go for a large black frame mirror. 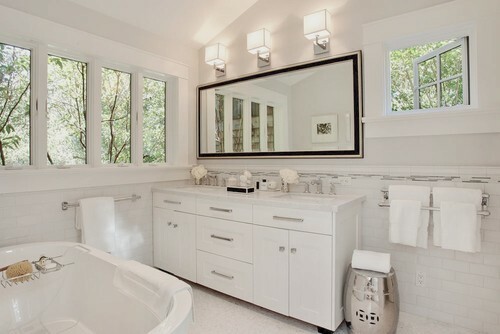 The width of the mirror should be big enough to cover the wall of the vanity area. A huge mirror lightens the space and visually expands the room. Mirrored cabinet doors. 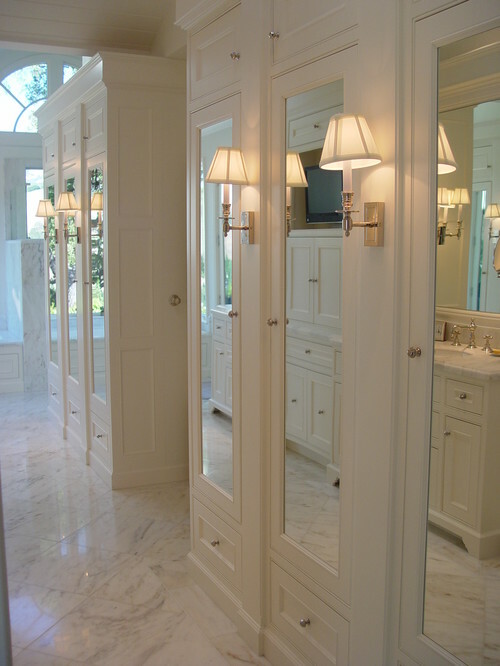 Find mirrored closet doors to store your towels, toiletries wash cloths, hair dryer, etc. It brings a modern touch to an otherwise traditional bathroom. Sleek and clean lines. 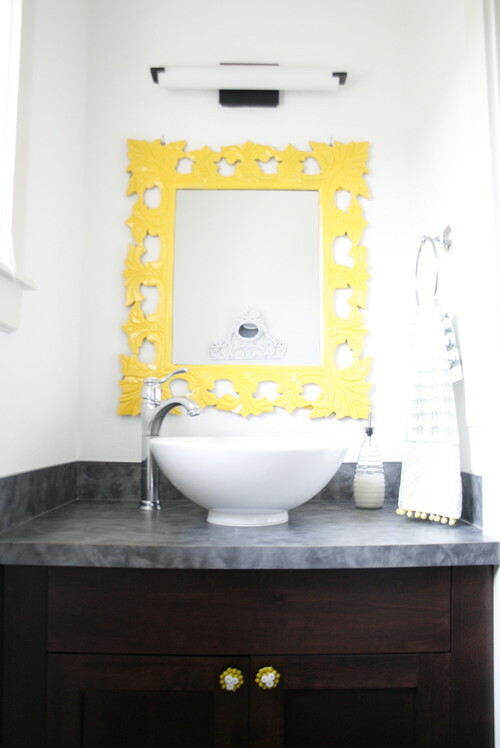 A big mirror in a simple frame can make a bathroom look elegant and clean. 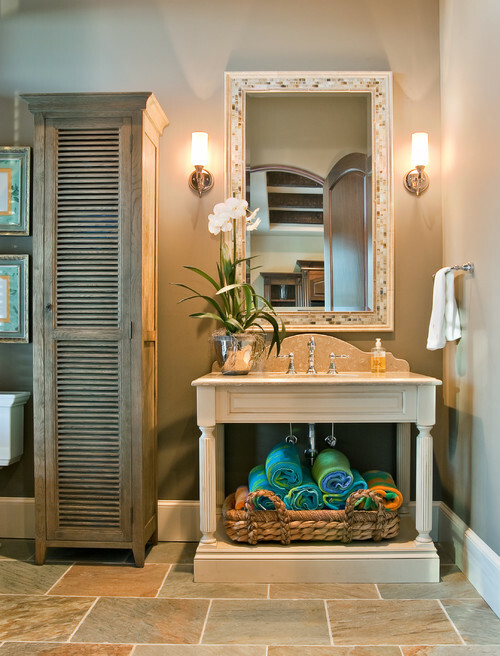 If you have a tall mirror, securely hang it horizontally to cover the wall above the vanity area. Get your custom-made mirrors at MirrorLot. MirrorLot offers a wide range of bathroom mirrors, floor mirrors, large mirrors, and more that can be customized to all your needs. They have been in the business for over 30 years, making them a trusted partner in the interior decorating industry.